China will firmly adhere to opening-up and the principle of multilateralism to push for the in-depth development of globalization, Chinese Premier Li Keqiang said on Tuesday. 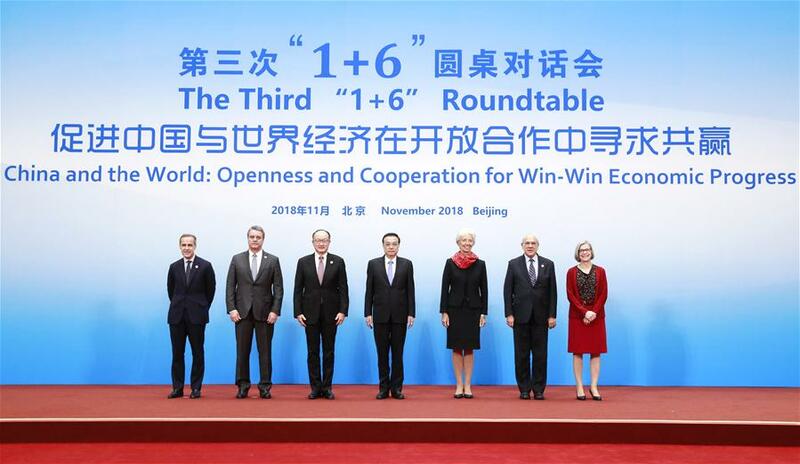 Li made the remarks when holding the third "1+6" Roundtable with leaders of major international economic and financial institutions in Beijing. When talking about the current global economic situation, Premier Li said the world has come at a cross road and faces a historical choice. "We believe multilateralism is the only way to achieve prosperity and inclusive growth, and the trend of globalization should not be reversed," he said. He also said that China is willing to strengthen communication and consultation with all parties to accommodate the interests of countries of different development stages and groups of different income levels. China firmly supports multilateralism and opposes unilateralism and protectionism, and will work with other countries to promote economic globalization toward a more open, inclusive, universally beneficial, balanced and win-win direction, and jointly build an open world economy, Li said.